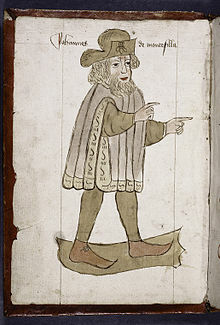 "Jehan de Mandeville", translated as "Sir John Mandeville", is the name claimed by the compiler of The Travels of Sir John Mandeville, a book account of his supposed travels, written in Anglo-Norman French, and first circulated between 1357 and 1371. "Mandeville, John," in Dictionary of National Biography, London: Smith, Elder, & Co., (1885–1900) in 63 vols. This page was last edited on 16 July 2018, at 11:09.